Every year around late March the nation’s capital goes on high alert, tensely awaiting that unpredictable, crucial moment: the peak bloom of the cherry blossoms around the Tidal Basin. Thousands of people come from all over the world, spilling out of Metro escalators onto the National Mall, disregarding traffic laws and personal space boundaries in their unyielding march toward the flowering trees. This treasured historical gift to the US from Japan symbolically celebrates and encourages a reverence and appreciation for nature that goes beyond distinctions of borders and politics. As a devotee of nature and all things floral, visiting the cherry blossoms is a yearly pilgrimage for me. For DC residents there is a certain resistance to the tourist attractions, which we prefer to leave to the crowds of out-of-towners and kids on school field-trips. But there is something about the cherry blossoms that forces us to grab our cameras, ditch our pretenses, and join the masses. Enjoying the cherry blossoms is a very social event, and during the peak bloom every inch of the grass beneath the flowering trees is filled with people picnicking, snapping the perfect picture, and generally enjoying the outdoors. There is such a positive energy that can be felt as people weave between the trunks of these enchanting trees. The history of the cherry trees is a complicated tale with many twists and setbacks, but there is no denying the enduring beauty and good will this gift has brought about. 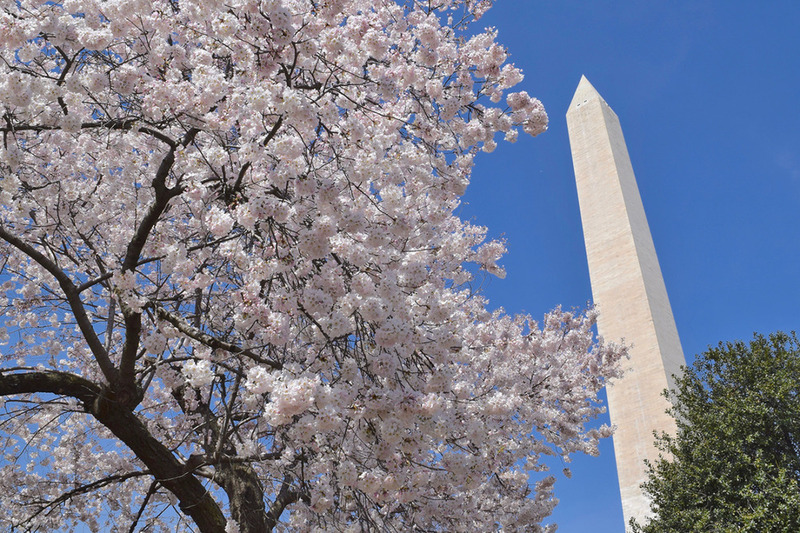 A little over a hundred years ago, nature enthusiasts with political connections, a well-timed letter to the White House, and generous donations from Japan brought the cherry blossoms to DC. Unfortunately, the first major shipment of trees from Japan was infested and had to be destroyed, but all parties involved were determined and eventually subsequent donations were made and the planting began. 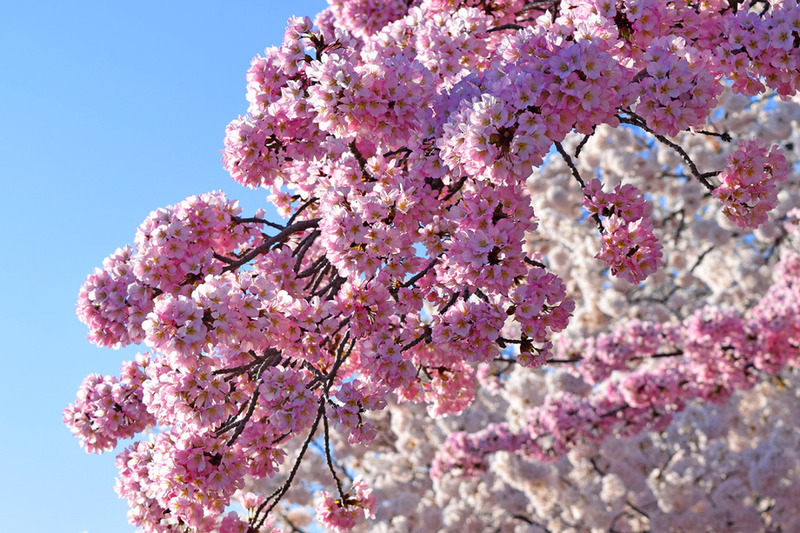 The city of Tokyo donated over 3,000 trees in twelve varieties but the most prominent are the white, fluffy Yoshino and the pink, double-blossomed Kwanzen. Original cuttings were taken from a famous planting of trees along the Arakawa River in the suburbs of Tokyo and the lineage of those original trees endures and continues to connect these two cultural capitals.